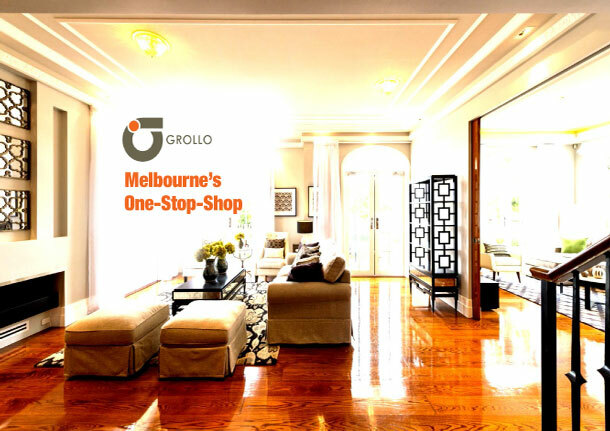 Grollo Homes is well-known throughout the Melbourne building industry for designing and building unique and luxurious custom homes. 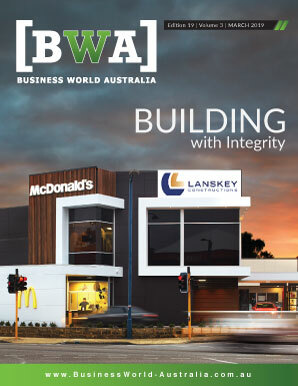 A family business with over five decades of building experience, the company has never lost sight of their family values, and is regarded as one of the most trusted and respected names in the industry. Supported by a set of core principles that include trust, experience, expertise, integrity, and innovation, the company has gained a reputation for producing top quality homes with a personalised touch. They have a history of providing their customers with creative and detailed building solutions that are flawlessly executed by their team of skilled professionals, earning the company plenty of industry recognition over the years. “One thing that has come across from a lot of our clients is they feel that we’re a genuine builder,” says Director Jason Grollo. Jason personally comes from a long line of builders, and says he “can’t remember a time” that he and his brothers weren’t involved in the family business. Prior to forming Grollo Homes in 1960, Jason’s father and uncles had been working as carpenters and bricklayers for their uncle, Luigi Grollo, who owned and operated Grocon − the largest privately-owned development and construction company in Australia. Jason says that clients recognise the Grollo family name, and they respond to it. Jason points out that the Grollo Homes team has a knack for implementing their clients’ specific ideas and requests into their designs. The company then transforms the design into a well-built product that embodies everything that the client is looking for. “I often tell people that if you find a display home that you love when you walk into it, then that’s perfect − just go buy one of those. But if you don’t find the perfect display home, then that’s when you need to find someone who will design something for you,” he says. Grollo Homes maintains a steadfast commitment to quality assurance that ensures a high quality product is being built every time. For example, they have positioned themselves on the leading edge in terms of technology, using the latest software to provide their customers with three-dimensional virtual models that offer a tremendous amount of detail and insight into the design concept. They also consistently use the same team of expert tradesmen and tradeswomen on each project − people who, in some cases, have been with the company even before Jason was born. According to Jason, another key ingredient to a successful build is having a healthy working relationship with the client. In order to facilitate this, Jason makes sure that each member of the Grollo Homes team is extremely responsive to the concerns of each and every individual customer. “When you’re building a home for someone, it’s likely the largest investment of their lives, so you’ve got to respect that. When you show genuine respect to your clients, your relationship benefits from that, and I’d like to think that’s why we’ve had great working relationships with all of our clients over the years,” he says. Adding to their already highly acclaimed reputation, the company’s Grollo 108 project in Balwyn North won five separate accolades at the recent HIA Regional Housing Awards, including honours for Victorian Home of the Year, Display Home, Townhouse/Villa Development, Kitchen in a Display Home, and Bathroom in a Display Home. 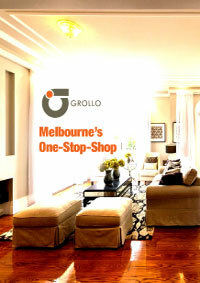 As a three-storey townhouse, Grollo 108 makes tremendous use of limited property space. The home also boasts several unique elements, including a suspended kitchen that features hidden appliances that conceal themselves behind pocket doors. Jason explains that the company initially had no plans to turn Grollo 108 into a display home, but decided to do so after hearing rave reviews about the development. Grollo Homes is in the process of refining their current business model whilst simultaneously exploring the possibility of expanding into other sectors, including the development of larger sites. In order to grow their custom home development business, they would need to find “people with the same tastes, abilities, and techniques” who synergise with their current team of experts − something that could prove to be quite challenging moving forward.